VAB Two-Way Flap Type Diverter Valves meet the requirement of pneumatic conveying plants in re-routing powders, pellets or granules from one discharge point to another, with minimum pressure drop and high sealing efficiency. The VAB Flap Diverter Valve uses a swinging flap to divert material from one duct to another. VAB Flap Diverter Valves are fitted on pneumatic conveying ducts in which switching the flow of material to different production lines is required. 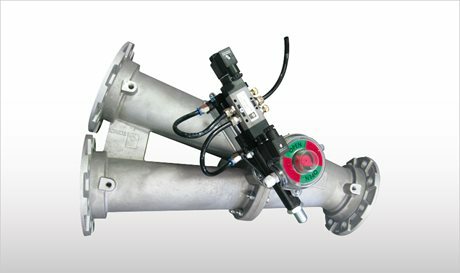 The VAB Two-Way Flap Type Diverter Valve is designed to meet the requirement of pneumatic conveying plants in re-routing powders, pellets or granules from one discharge point to another, with minimum pressure drop and high sealing efficiency.